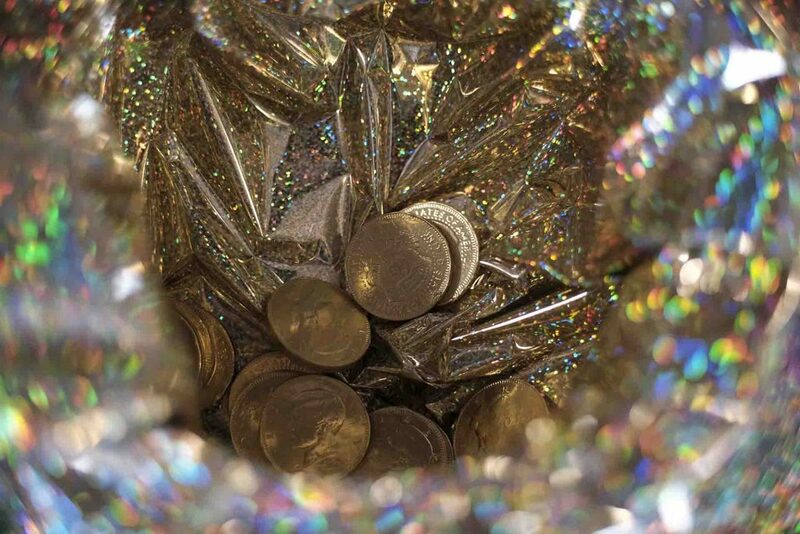 What one wish would you make if you caught a leprechaun? That question for fifth-graders may be easier to answer than naming their favorite Irish sport or musical instrument. Bodhran, anyone? 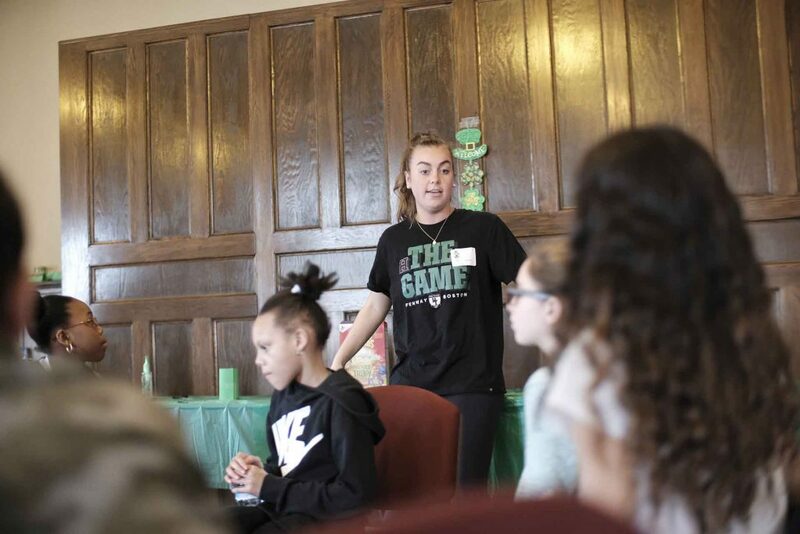 But Paxinosa Elementary students dove into everything Irish and left with deeper understanding as part of a trip to the College and visit with students in Deborah Byrd’s Irish Writers course. 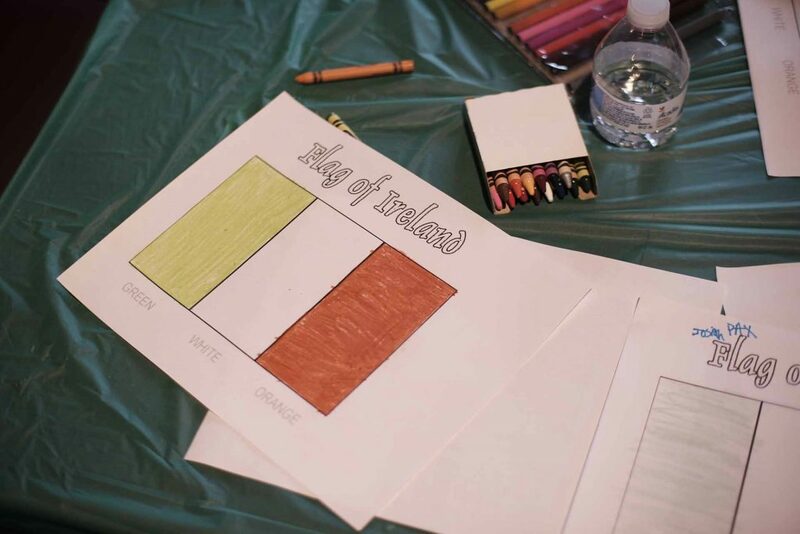 The day, which was soon after St. Patrick’s Day, was the second part in a triad for the fifth-graders. It started with a field trip to watch Celtic dancers and will culminate in their own project on Ireland for their school’s cultural night. Today’s program is part of the Aspirations program from Landis Center for Community Engagement. 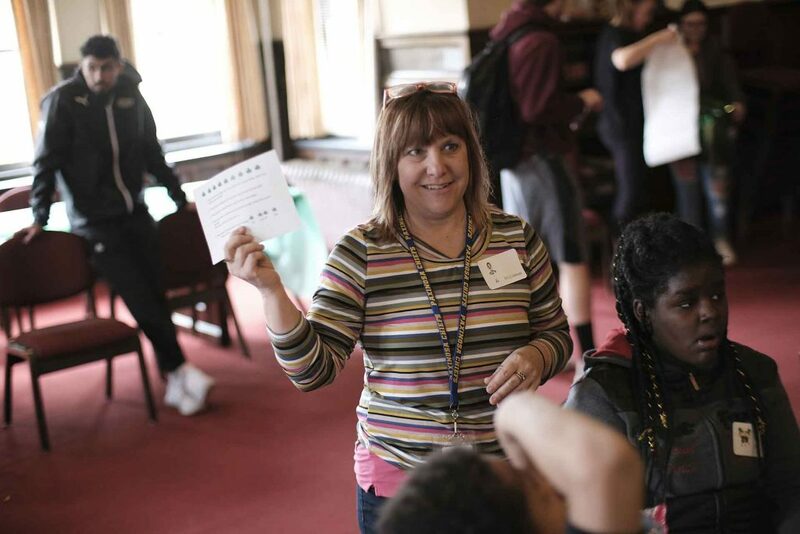 Lafayette faculty, local elementary teachers, and both Lafayette and Easton students work together through cooperatively developed classroom-oriented learning modules. Paxinosa Elementary is one of two United Way Community Schools in Easton that help level the playing field for schools where students face more barriers to success. 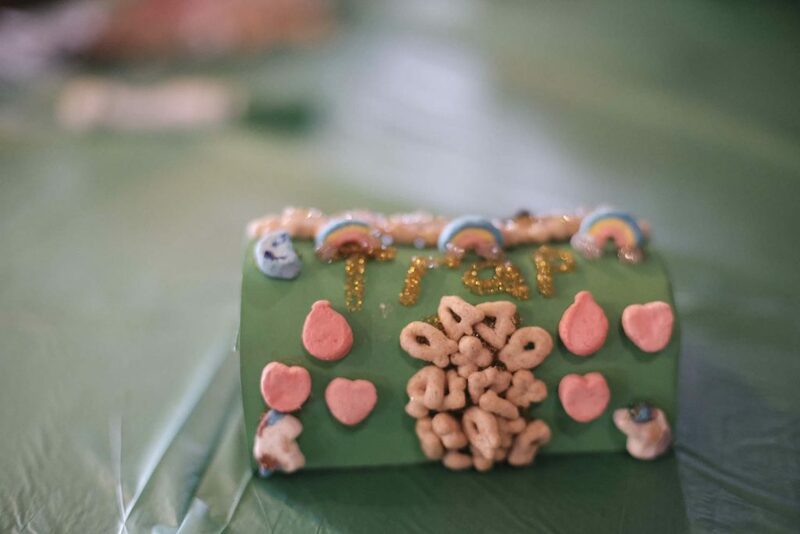 Students taught students as the fifth-graders moved from station to station and learned about St. Patrick, sports, dancing, musical instruments, and even built a leprechaun trap. 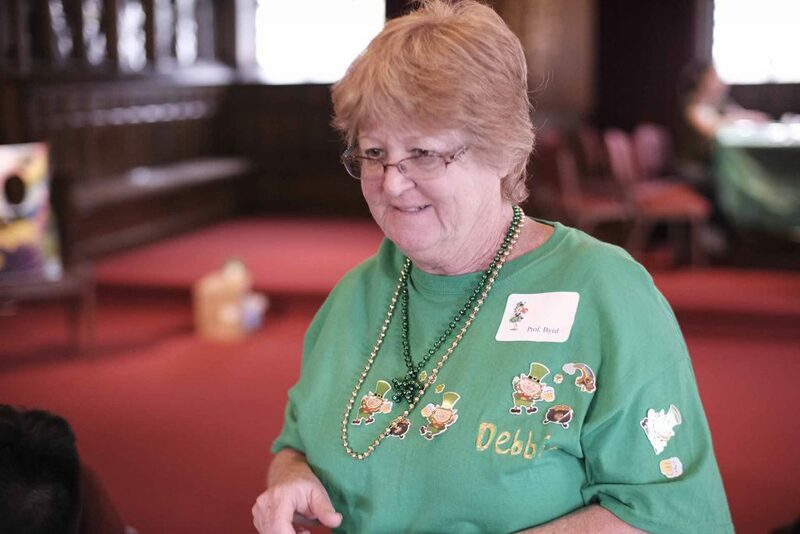 As they went, they collected chocolate coins wrapped in gold and colored Irish flags. Lohman introduced a Lafayette student who went through the Easton Area School District. The elementary students gasped. The college student talked about the journey through elementary, middle, and high school; how making it to a place like Lafayette was possible and how honored the college students were to shorten the line between the Easton and Lafayette communities. Even when that line spans to Ireland and back. You may use basic HTML tags and attributes.